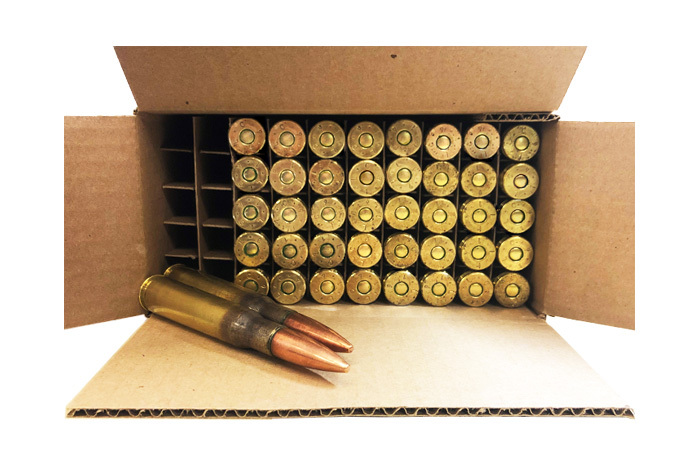 American Marksman 50 BMG (12.7x99mm) M33 Ball ammunition with a FMJ 660 Grain Bullet, Brass Case, Boat Tail with LC stamp. Manufactured at American Marksman’s facilities with the same Lake City Brass & Bullets that our Military uses. Bulk packed in boxes of 50 to bring real quality at affordable prices.